Thomas Mills, one smart dude whose analysis I tend to trust, is saying that Republicans in the North Carolina General Assembly have already won the PR battle over teacher pay: they're bragging, pretty much in unison now, that they're going to raise it, though the small print underlying their promise is a good deal more problematic. Can North Carolina's teachers be bribed into silence and submission this easily? Teachers were in the Forward Together/Not One Step Back march in Raleigh yesterday. We detected fire in their eyes, and we're not altogether sure that they're going to now lay down because Republicans are using the term "pay raise." 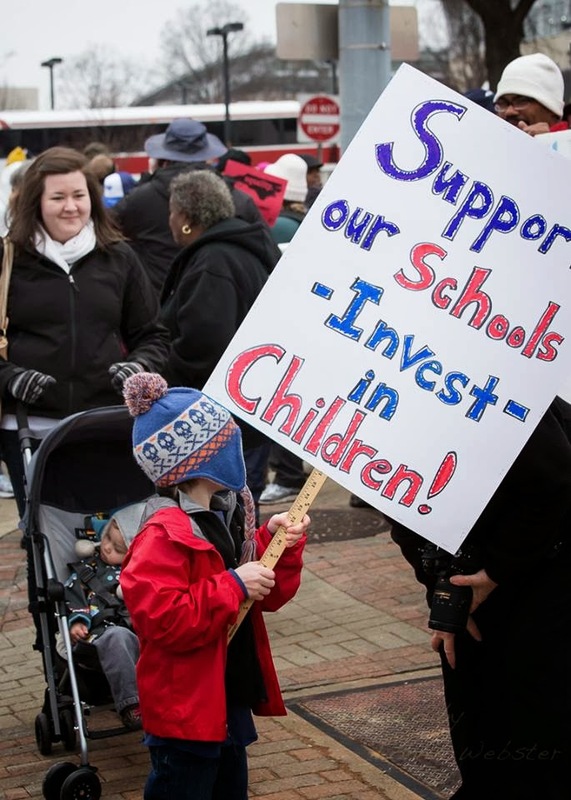 We know that Republicans like a public that will saddle a gift horse without looking in its mouth, but we also know that North Carolina's hard-working teachers can tell a hawk from a handsaw and may not be so easily bought off. Bribe them with a raise? NCGOP is already bragging about offering $500 to the best of the best as a way to differentiate the top 25% from all others. In what sector would $500 be considered a raise, I don't know. But the NCGOP seems to think teachers should just put up and shut up. Clearly for NCGOP, an educated populace is not the goal. Agree completely. This is the mosti important tax dollar that we spend. Teachers should be paid on local government scale. The promise of $35,000 by 2016 is insulting when government scale goes up to $150,000 and $160,000 at local level. Apparently, the "raise" is a small bonus given to first-time teachers.....nothing for retention or ALL teachers. Does McCrory Hear Himself When He Speaks? What Did McCrory Know, and When Did He Know It? Franklin Graham: "Ludicrous" and "Un-American"
Dan Soucek: He Gone Iron It Out!